Paramedics are treating two patients, one of whom is still in the car. 12.35pm | ONE woman has been taken to hospital after two cars crashed outside the Southern Cross Backpackers this morning. A QAS spokeswoman was unable to provide details on the patient's condition. 11.55am | POLICE are responding to reports of a two-vehicle crash along Round Hill Rd at Agnes Water. 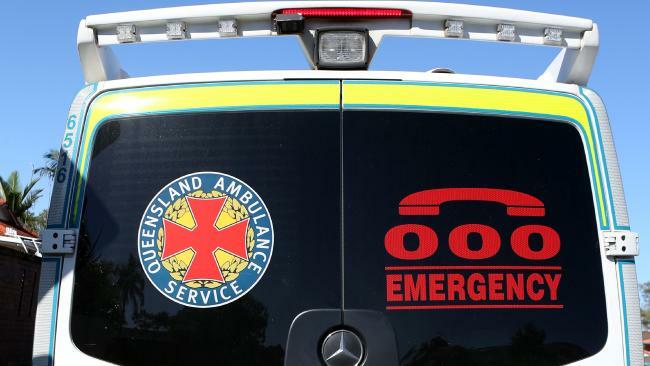 Initial reports are Queensland Ambulance Service paramedics are already on scene outside the front of the 1770 Southern Cross Backpackers and are attending to two patients, at least one of which is an 18-year-old woman. One of the two patients is still inside one of the cars. One lane of Round Hill Rd is blocked by the wrecks. It is understood one of the two vehicles was rear-ended by the other in the crash. It is currently unknown whether anyone has been seriously injured.